O-net, Inc. | Polaris Capital Group Co., Ltd. Since its establishment in 1980, O-net has provided a matchmaking service for marriage for its members for over 38 years as a pioneer. It has significantly improved brand recognition in the market by placing both nation-wide TV commercials since 2015 and online marketing via internet advertisement. In addition, O-net has a reputation as a select membership by imposing some hurdles for membership. As a result, the number of members has increased to over 49,000 as of October 1, 2018 and establishes a reputation as a top-brand player among the matchmaking service providers for marriage. 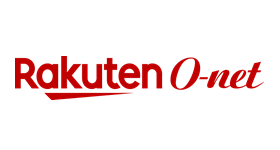 Share acquisition from Rakuten, Inc.
Polaris intends to materialize O-net’s continued growth by leveraging its cultivated strengths, plus by improvement of existing services including user interfaces, strengthening of operation including matching precision, collaboration with Polaris’s existing investment companies, etc. with improvement of corporate governance for initial public offerings through dispatch of directors and officers.